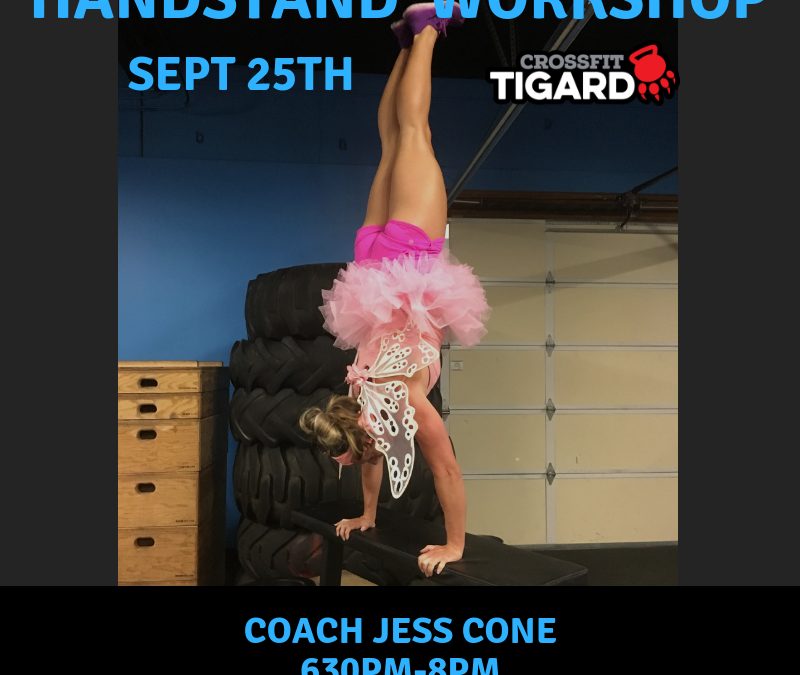 Handstand Pushup Workshop - Sept 25th - CrossFit Tigard P.A.W. Join us for an awesome 90 Minute Workshop to improve your Handstand Pushups Technique (and strength). Led by CrossFit Tigard Coach, Jess Cone.